Raphael Arie was born in Sofia, Bulgaria in 1922. He first studied the violin, but then his voice was discovered and he began study with the baritone, Cristo Brambarov. He made his concert debut in Sofia in 1939, singing the bass part in Handel's Messiah. 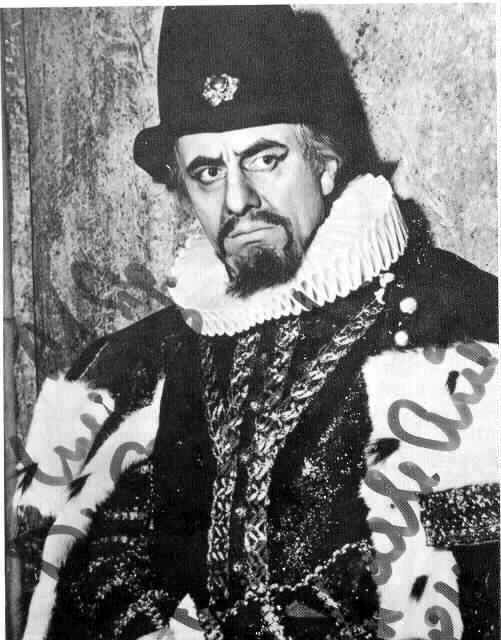 He sang at the Sofia Opera (1945) and in 1946 won first prize in a singing competition in Geneva.In 1947 he was engaged by La Scala and sang there successfully for a number of years. He also sang at a number of music festivals and made guest appearances at the leading opera houses in Germany, France, and North America. 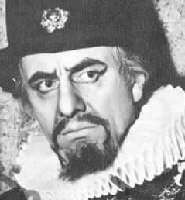 In 1951 he sang in Venice in the world premiere of Stravinsky's The Rake's Progress, and in 1960 and 1961 he sang the role of the Grand Inquisitor in Don Carlos at the Salzburg Festivals. Arie appeared in most major opera houses in the world, yet for some reason, was never invited to sing at the Met. Upon retirement from the stage in 1978, Arie moved to Israel, where he became a professor of singing at a leading institution there. Raphael Arie died in Switzerland in 1988. Musorgsky: Boris Godunov "Death Scene"